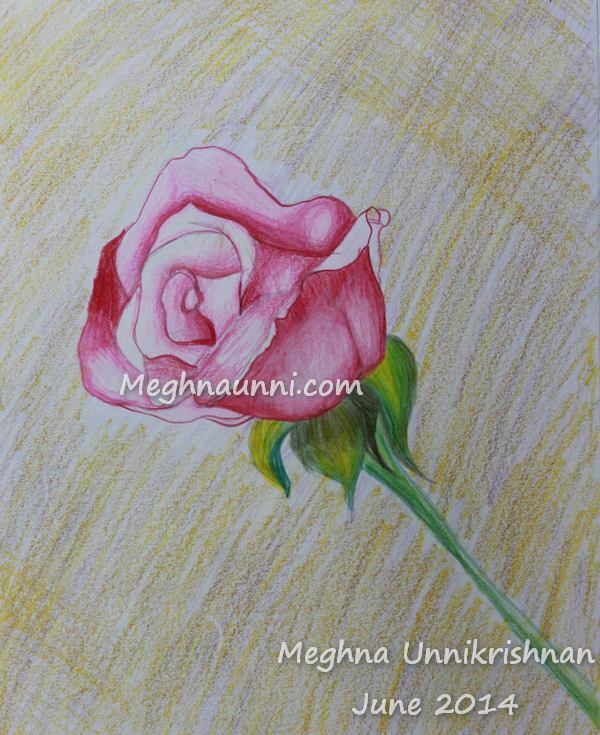 A single Rose, done using Steadler Water Colour Pencils as a home work for my class. I liked this drawing. Hope you all will also like it.